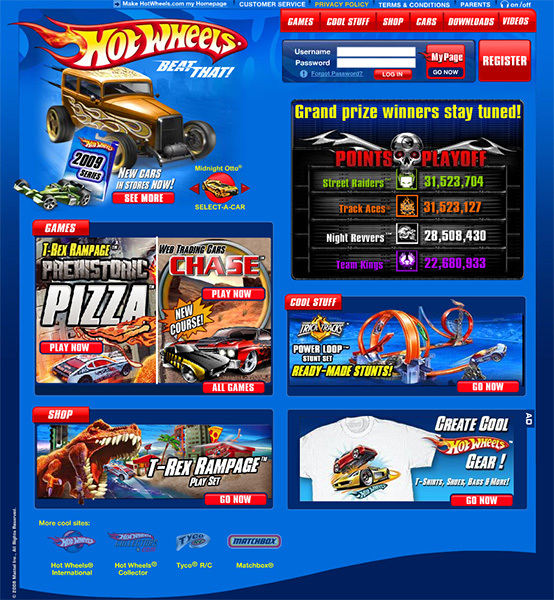 Lead developer for Hotwheels.com at Mattel. 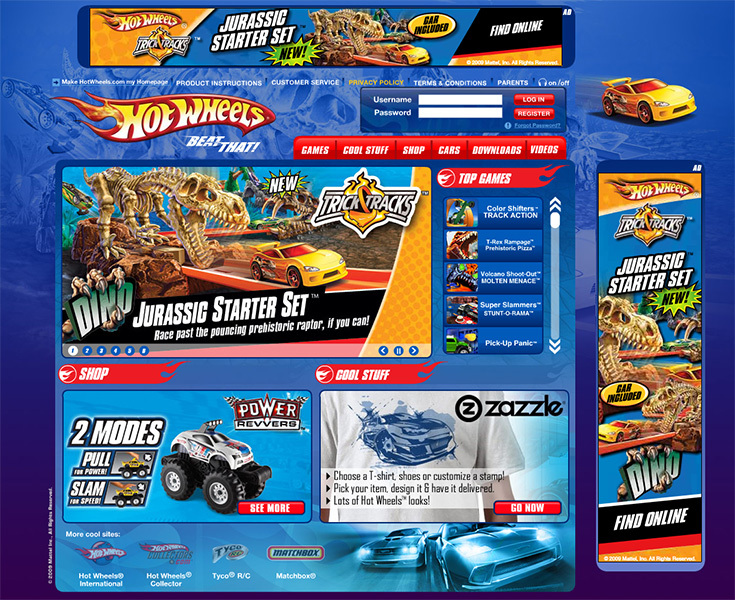 For the vast majority of my time at Mattel, I acted as lead front-end development for Hotwheels.com, a leading kids site with over 10 million monthly visits. Responsibilities included weekly updates to the site tied with our marketing departments scheduling of campaigns and toy releases. Developed several revisions of the site, including an upgrade to Actonscript 3 from AS2. In Fall of 2008, planned and implemented a site-wide points system that awarded points to user profiles for visiting pages. This involved making web-service calls to a system designed by our backend developer Matt Hyatt. Sent out a monthly newsletter to over a million site users. 2008 site revision designed by Nhut Pham, with art direction of Lesley Ferguson.